Heater560 is designed to maximise convenience for engineers, saving time and money without compromising simulation accuracy and reliability. 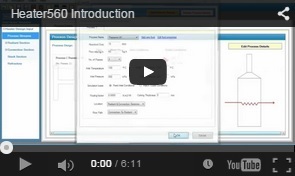 Heater560 takes fired heater simulation to a completely new level, producing datasheets, GA drawings and a fully comprehensive Cost Estimate in seconds. In addition, the Heater560 unique FEED Wizard is able to automatically design a fired heater for you, based on your specified requirements. 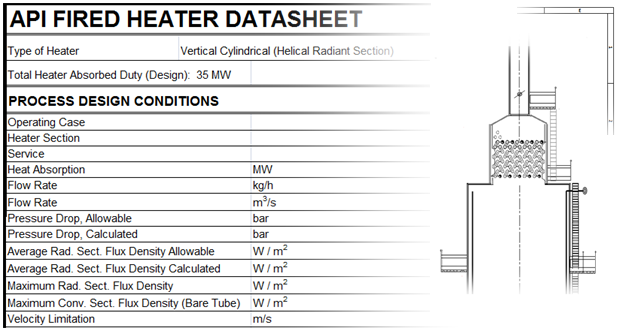 By simply entering basic data such as inlet temperature, outlet temperatures and allowable pressure drop, the wizard will design the heater automatically, with datasheets, drawings and a detailed cost estimate in seconds. Heater560 saves an incredible amount of time and associated costs for fired heater companies, EPCs and Operator. This cost saving essentially improves the profitability of your business operation and activities.